Get ready for a premier modeling experience with the latest tanks models kit from Modelspace. Build and drive the radio-controlled T-72 Tank in 1:16 scale, a Soviet second-generation main battle tank which was created more than three decades ago and is still in service with many of the world’s armies. Special Offer: Get your FIRST MONTH of the T-72 Tank for only £9.99! 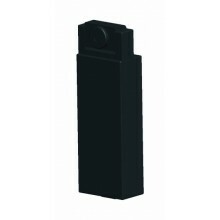 The optional T-72 Wi-Fi unit is a video camera with 1280 x 720 pixel resolution and a Wi-Fi sender/receiver. The Wi-Fi unit is easy to fit and easy to use. It allows you to operate your T-72 Tank with your IOS or Android SmartPhone or Tablet at a distance of up to 30 metres, depending on the environment and weather conditions. 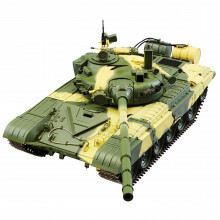 Perfect for working on either individually or with friends and family, our collection of military model tanks is highly accurate, intricate and realistic. Like all of our military models, our army tank models are designed to replicate the original vehicles as closely as possible, giving you the satisfaction of knowing your model is a true copy of the real thing and ensuring that it looks fantastic when complete. If you’re planning to build an entire fleet of model tanks, you can add to your armed forces with some of the other top-quality models from our range. Collect our warships, suits of Samurai armour and military aircraft to build an invincible scale army and improve your model making skills. With easy to follow instructions and extensive online resources, we have everything that you need to complete your tank models to a professional standard with a range of tools and accessories available in our online shop to help you along the way. Whether you’re planning to build a fleet of historic tanks or just a single, formidable battle tank, our high quality kits are the perfect place to start. Have a look around our website or visit our online forum to find out more.